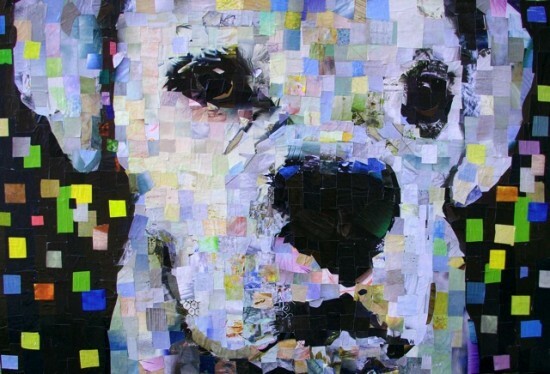 San Francisco-based Samuel Price uses pieces of photographs he finds in old, discarded magazines to create intricate portraits of man’s best friend. 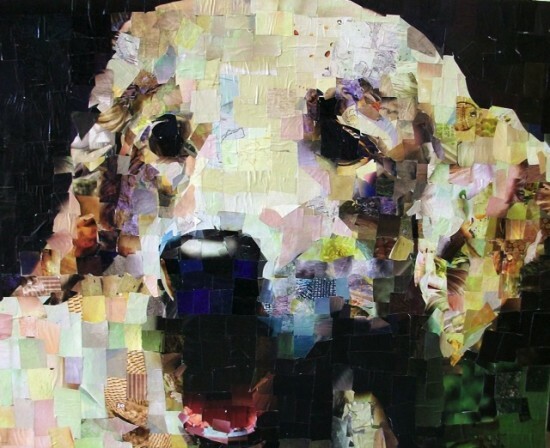 Sam Price’s career as a collage artist began when he was too young to afford paints and would tear up magazine and newspaper pages and glue them to a canvas. He did it out of necessity and because he has “always believed in the use of accessible materials as part of the instinctive process of creating art”. 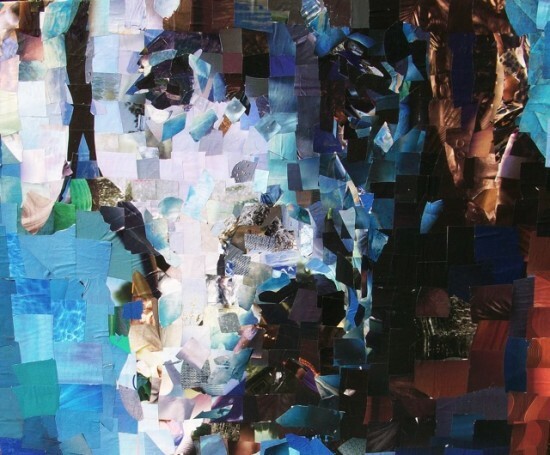 Stepping in the footsteps of artists like Pablo Picasso – a pioneer of collage art – Price uses recycled photographs as the medium for his artworks. 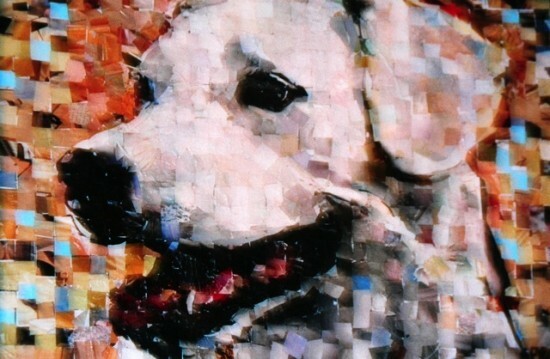 Unlike other collage makers, Price doesn’t use a computer as a guide when he creates his masterpieces. 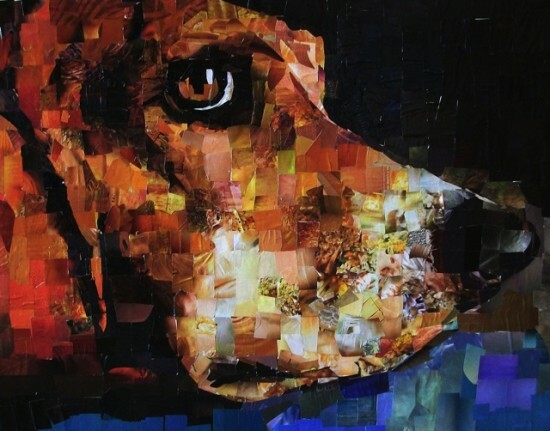 He spends several hours looking through discarded magazines, in the search for just the right color and shape that would fit his needs, and then glues every strip of paper himself. 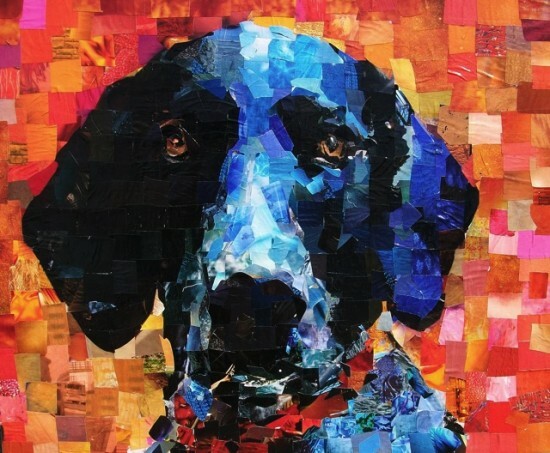 Samuel Price takes great joy from creating something new and special from materials other people simply throw away, and says his work has helped him create a strong connection with many dog lovers. 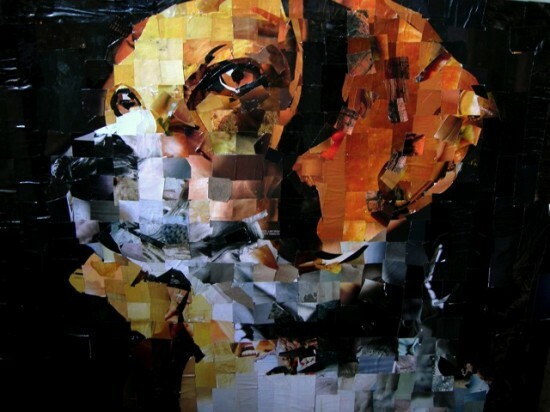 Through his collage portraits he tries to capture the special relationship between a dog and his owner.